Just back from Whole Foods at Cambie and 8th with this really fantastic find: G.H. 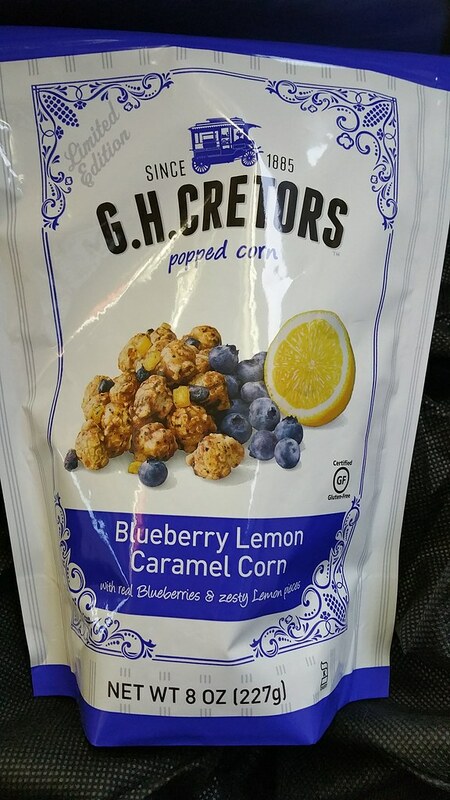 Cretors Blueberry Lemon Caramel Corn, apparently a limited-time flavour. 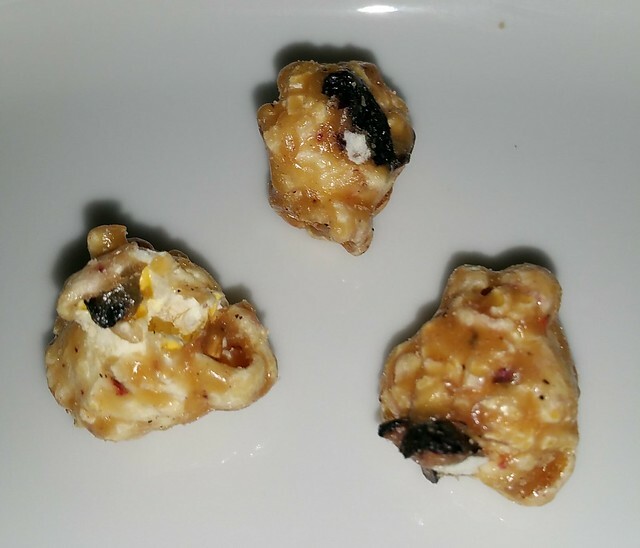 Basically it's caramel corn, but with wat looks like chunks of dried blueberry and tiny bits lemon. 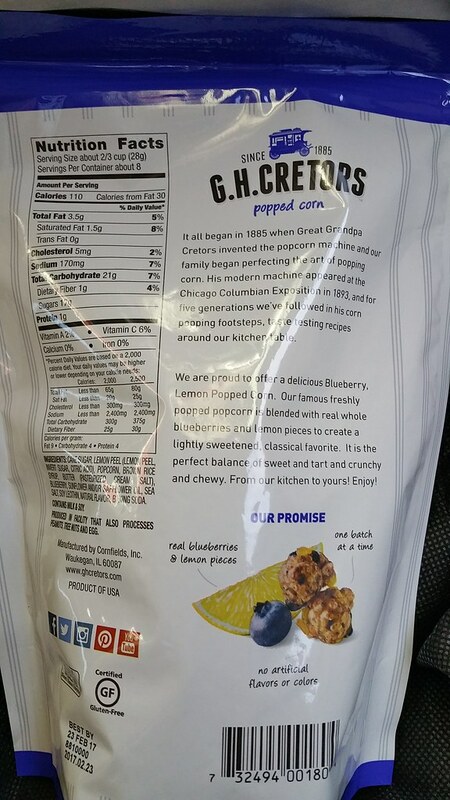 I didn't inspect every single kernel but it does look like you get a piece of blueberry pasted on every one. Taste is mostly fruity sweet (but not so reach-for-water sweet like caramel corn often is) with mild lemony tang -- not enough to overpower the other flavours, but with the word "Lemon" in the description, you may therefore find it a bit tame. A very welcome change from most seasoned popcorn, which is either too caramel-sweet or savoury flavours.